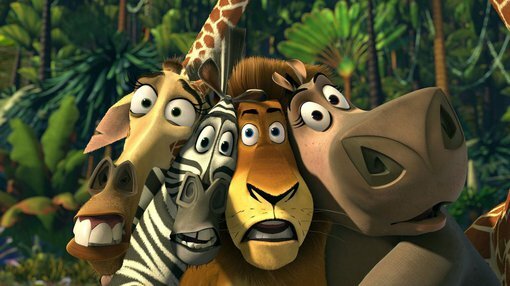 If you haven’t seen the popular animated film franchise, you’d be forgiven for not knowing much about Madagascar but that could be changing very soon. Graphite, as one of the most conductive materials, is set to be key to our sustainable future and recent exploration in Southern Madagascar has identified the Ampanihy Structure Zone as what could soon become a global hub of battery-suitable graphite. In a recent interview with Investing News Network, Simon Moores, Managing Director at Benchmark Minerals Intelligence, was notably bullish on the graphite market and forewarned investors to look beyond basic commodity prices. “Graphite is the number one raw input material into a lithium-ion battery,” said Moores. “The order of graphite needed in these megafactories is in the millions of tonnes. At the moment, the anode space is about 165,000 tonnes per year but you’re going to need well over 1.6 million tonnes per year by 2030 if all these plans come on stream. One source of this battery-suitable graphite is going to be Madagascar where the Ampanihy Structure Zone hosts three major graphite projects which contain the right type to be used for battery anodes. Within the Zone, NextSource Materials’ (TSX: NEXT) Molo Graphite Deposit which contains an exploration target in 141.28 million tonnes @ 6.13% Total Graphitic Carbon (TGC). With the project having garnered global attention from battery manufacturers already, a 10 year offtake agreement was signed in 2018 with a prominent Japanese Graphite Trading Company, for use in battery anode applications and electrical vehicles. What has made the Ampanihy Structure Zone of even greater significance, however, are the two project exploration targets announced over the past 9 months. Most recently, BlackEarth Minerals (ASX: BEM) announced a 20-34 million tonne Exploration Target @ 10-20% TGC* at their Ianapera Graphite Project which is located just 10km north of Molo. This target significantly increased BlackEarth’s assets within the Zone where the Company announced a 260-380mT Exploration Target @ 6-8% TGC* at their Maniry Graphite Project located 60km south of Molo. Whilst BlackEarth Minerals is yet to join their Canadian counterparts in announcing offtake agreements, their sizeable assets could propel Southern Madagascar as a world class hub for battery-suitable graphite which will be crucial to meeting major demand increases in coming years. The full interview with Simon Moores can be viewed here.